Huh! 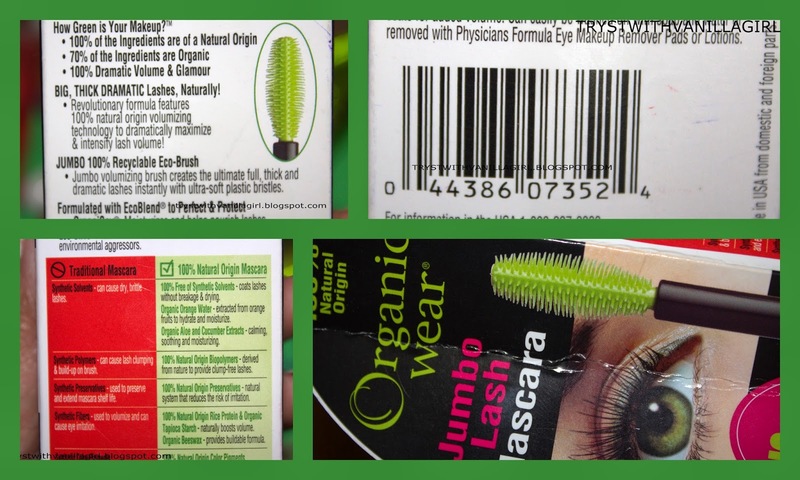 !Enough grounds so ..I finally got an opportunity to buy this Physicians Formula's Organic Mascara. So here we begin with this Eye candy. How it looked on arrival? I was mesmerised by it already being recommended by so many of youtubers. 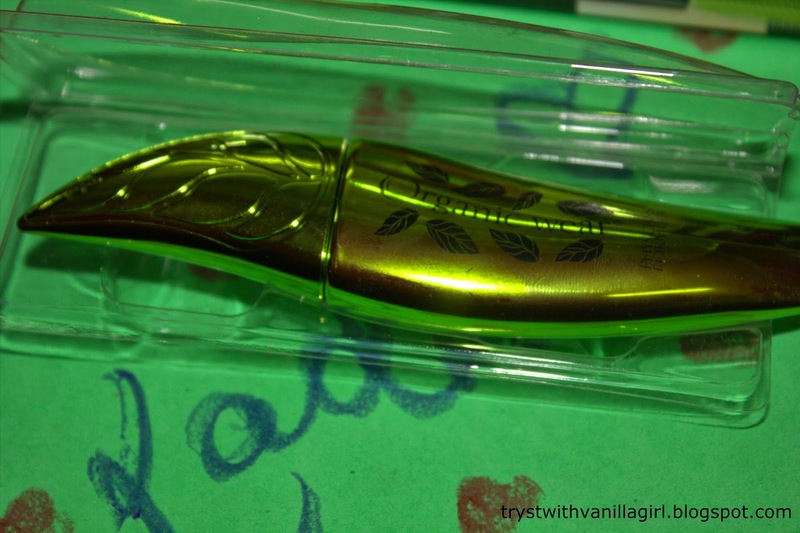 It reminded me of Loreal's Mascara that came in shape of an Eye.But this one is really an Eye Candy.It looks like a leaf actually and the gorgeous green colour adds up to its claim of being totally Organic .I have added few more pictures here after I took it out from the box. When I opened it I was smitten...Yes.So it was wrapped in this plastic packaging inside. Finally got to see it and hold it in my hand.It gave a typical feeling of holding something darn healthy (wheatgrass juice) .Green colour goes well with the claims of the product. Even the water used is from orange juice to enhance moisturisation of lashes. Biopolymers are used to provide volume. Natural tapioca starch to increase volume is used. 100% Natural Pigments are used. 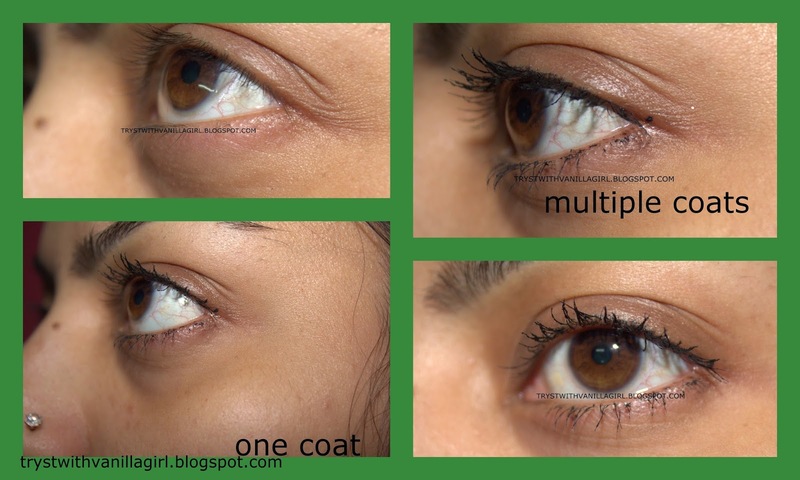 Being Organic formula it is itch free and do not pose any kind of irritation to eyes. Its a jumbo brush.These kind of brushes are very good to add volume to lashes.The bristles are ultra smooth and length is such that is easy to manouevre. 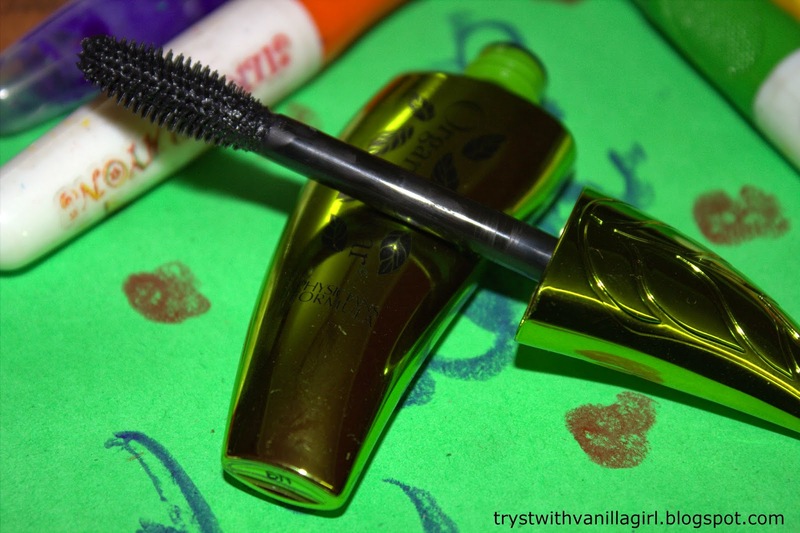 I am a mascara lover. My eye lashes are not very thick.I tend to wear mascara almost daily.This product suits my requirement because I do not want to put tonnes of chemicals on my eyes daily.Also for my day to day look I usually do not resort to overtly dramatic lashes. I will say if you are looking to put something on your lashes to get the effect of falsies then it does not serve your purpose.It brings life to your lashes but fails by smidgen to put that extra drama. 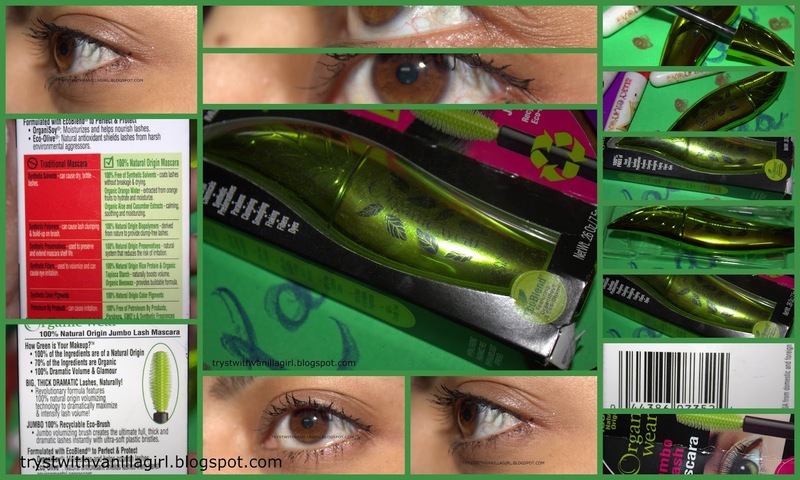 It lengthens lashes and manage to add decent volume also. 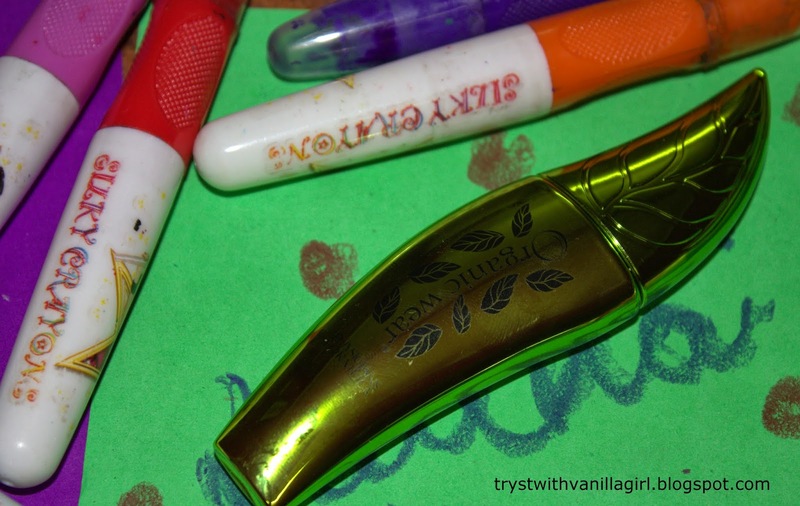 It has minimal fall out compared to so many touted mascaras. Formulation is watery to thick. There were some visible clumps which if worked on can be taken out because formula takes time to settle on lashes. My ratings are excellent for this because its completely organic and practically no itchiness even after the entire day of wearing.It serves my purpose of everyday mascara. I wish it should be available in India also. 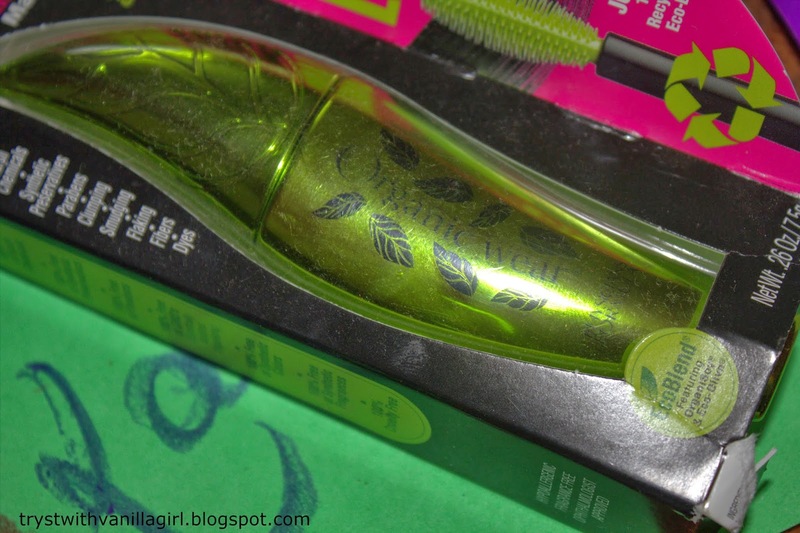 Live Green and Stay Beautiful! !